Nissan sales in August mark the highest monthly sales for the brand in the Philippines since the year 2000. This posts a 104 percent increase versus the same period last year and beats the previous 2,869 record performance set last July. 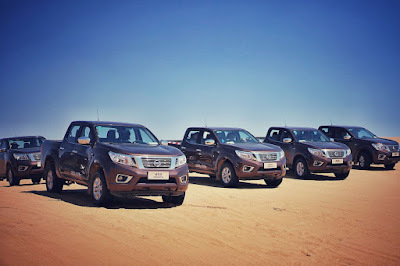 Driving this performance is the Nissan Navara, which accounted for 38 percent of sales in the Philippines. The Navara’s strong sales has made it the best-selling pick-up for the month of August. Accounting for 21 percent of the brand’s monthly sales, the new Nissan Terra also pushed Nissan’s sales in the Philippines. August marked the first sales month for the new mid-sized 7-seater SUV. In addition, Nissan ranked number two in the J.D Power 2018 Customer Service Index, showcasing its strength in aftersales services. Further driving this performance is the expansion of Nissan’s dealer network, with over five new showrooms opening until the end of the year. Hold your excitements man! Wait for the Ford Ranger to bounce back! People are just waitin' for the new Ford Ranger Raptor and the new Wildtrak to be launched, with their new 2.0 liter Bi Turbo Engine. at php 1,113,000 for the 7at EL Calibre? pinagiisipan pa ba yan? mas mahal pa ung top of the line na vios lol. ilang years po ba ang itatagal ng navara na walang aberya?like sa other brands na 10yrs and up.sa navara po ba ilan?tnx po. high-end na po ba yang 1.1m ng navara?